Park City Adventures: Enjoy this mountain in all seasons! I opened my mail and was so excited to see my EPIC ski pass. 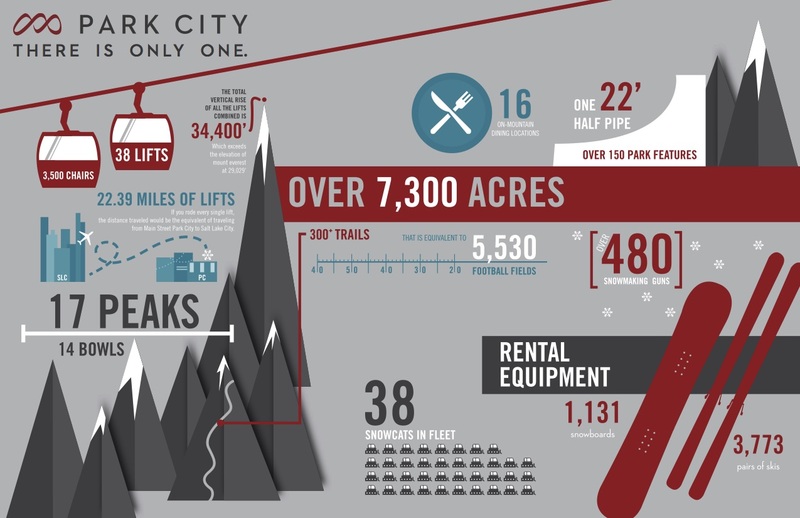 Have you skied at Park City yet? If not, this year you need to put it on your bucket list. Canyons Resort is now part of Park City Mountain Resort and together they are Park City. Expedia.com asked me to share all the great things to do in Park City. There are seventeen skiable peaks and one epic ski pass that covers all the terrain. You can even select an epic pass that is good at Vail, Beaver Creek, Breckenridge, Keystone, Park City, Heavenly, Northstar, Kirkwood, Arapahoe Basin, Afton Alps and Mt. Brighton. Park City is now the largest ski resort in the U.S. with over 7,300 acres of skiable terrain with the new connection between Canyons and Park City. 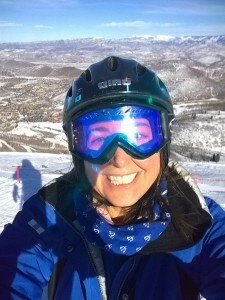 I have been skiing at Park City since I was a little girl and I love it. I look forward to my first day on the slopes this season. I am certain the $50million renovation which added the new Miner’s camp restaurant, the new Quicksilver Gondola and upgraded chairs on some of my favorite runs will mean even better days on the snow. If you prefer terrain parks to moguls, Park City Mountain has you covered. On the Canyons Village side there are three Terrain Parks for skiers and riders of all abilities as well as an elementary Burton Riglet Park for kids aged 3-6. Steve Duke, Terrain Park manager, and his experienced crew have a few suprises for you with their original features and creative park designs. I can highly recommend spending time in Park City town. Enjoy Riverhorse for dinner on Main Street or travel in the trolley car to pick out your favorite spot to dine. You can stay in town and take the Town Lift to the mountain or stay anywhere and come to Park City Mountain on the free bus! My Park City Adventures now include summer and winter sports. This summer I enjoyed different outdoor adventures on the same slopes. I hiked in Park City. See more images of Park City here. During my hike at Park City, I saw a deer and gorgeous summer flowers. I had drinks at the Waldorf Astoria with Jason Will and Scott Eddy–I want to go back and swim in the pool! For dinner, we went to Riverhorse on Main Street. Look for both pieces of street art by Banksy. One of my favorite things this summer was my first ever hot air balloon ride! I loved being in the clouds. I highly recommend it! I cannot wait to go again. Our day at Deer Valley included a great hike up the SilverLake trail with an amazing guide named Kelley. He taught us about the Aspen trees: they share a root structure and they have a bend in the bottom of their trunks. During the winter, the snow forces down the base of the trees eventually the trees grow tall and straight but they always have a curve at the bottom. Lunch at Royal Street Cafe was lovely and included homemade cheeses and ice cream. A wonderful treat after a day of hiking in summer or skiing in winter. Park City is amazing in any season. You can ride the alpine coaster, zipline or explore the Olympic Park from the 2002 Olympic Games. It is only 32 miles from Salt Lake City International Airport to some of the best skiing on the planet. See you on the slopes! Promises of Italy from an RV Camper in the USA. 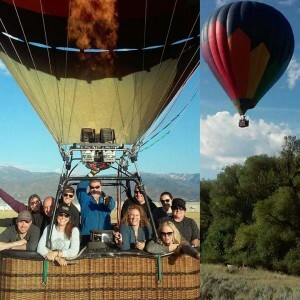 Pingback: We Said Go Travel Jan News: Expedia Best Bloggers of 2015!